The Gambit movie, despite a great many setbacks, is still reportedly in development at Fox. Channing Tatum is still attached and seems quite enthusiastic about it, but after director Doug Liman left, things changed quite a bit. They decided to take the project back to square one, which may not be a bad thing since the successes of Deadpool and Logan will allow for them to take more chances. With all of that said, some rumored plot details for the Gambit movie have arrived online and they are pretty insane. Splash Report brings us these rumored plot details for the Gambit movie, which promises that the movie will essentially be Ocean's 11 within the X-Men universe. The plot also promises that fan-favorite villain Mr. Sinister will finally be making his big screen debut, assuming this plot does in any way resemble what we ultimately see when the movie eventually gets made. Here's how Splash Report describes the plot of the Gambit movie. "Remy Lebeau (Channing Tatum) is on trial in New-Orleans. He's considered a huge security risk. We flashback to almost 25 years before. Master thief Luke Lebeau runs into eight-year-old Gambit while doing a heist. Impressed by his skills, he offers to take the mutant orphan under his wings. Raised alongside other strays he calls 'cousins', the teenage Gambit becomes the superstar of the Thief Guild. He encounters Bella Donna Boudreaux while on the run from the police. Sparks immediately fly since Bella is also a fellow mutant. Their love is directly prohibited by both families since the Boudreaux are sworn enemies of the Lebeau clan. Deciding to unite the two sides, Remy offers to have the two clans team up on a HUGE heist to profit both families. Of course, the whole plan goes awry, and in the chaos, Maryanne Boudreaux shoots and kill Luke Lebeau. We jump to 10 years later; Gambit is hired to do a job in Paris to steal something from the Louvre Museum. It was apparently a test job to see if he still has it. His mysterious employer is revealed to be Nathaniel Essex a.k.a. Mr. Sinister. He offers Gambit 40 million to recover a mysterious trunk that was stolen by the Boudreaux clan. It will be auctioned off during the yearly Thieves Ball where all the criminal organizations in the world meet up. It uses New Orleans' Mardi Gras celebrations as a cover. Gambit decides to enlist a crew of mutants to pull off this seemingly impossible heist..."
Before we dig in a little further, it needs to be said that the Gambit movie is reportedly being heavily reworked, so many of these plot details could wind up being scrapped by the time the movie actually gets made. But it does sound like this won't really be a "solo" movie. At least not in the traditional sense. There's going to be a whole team of mutants helping out Remy Lebeau. Not to mention the whole relationship plot that sounds a little Romeo and Juliet influenced, but with X-Men characters. 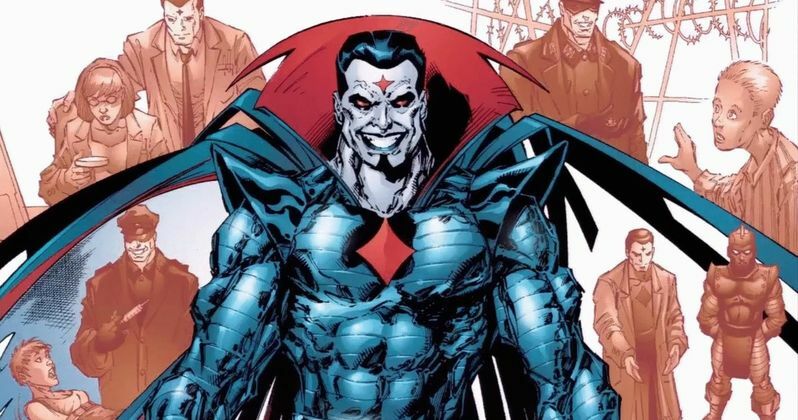 The one thing that many fans will probably hope remains here is Mr. Sinister, as he is a villain fans have been wanting to see on screen for quite some time. The report also notes that the story makes references to the events of X-Men: Apocalypse and X-Men: Days of Future Past, so it will take place in the current continuity. Mutants specifically named that could be part of the team for this heist include Rictor, Fifolet, Dani Moonstar, Multiple Man, Marrow, and a "blue X-Men regular," who could be Mystique, Nightcrawler or Beast. It wasn't specified in this report. In any case, if we really are getting a huge heist movie with Gambit, that would definitely be something new within the confines of the X-Men universe.